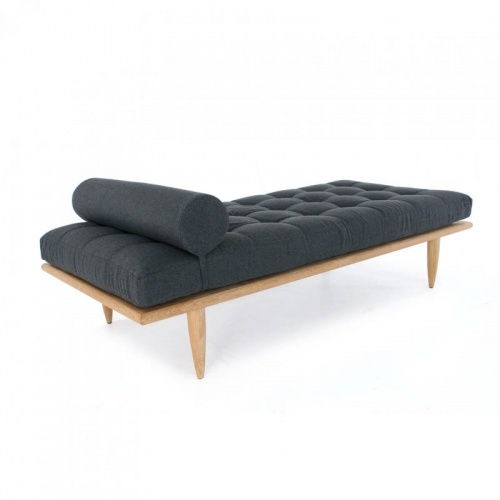 Inspired by the mid-century style, the Saloma daybed and sidetable lives up to its iconic form and understated glamour. 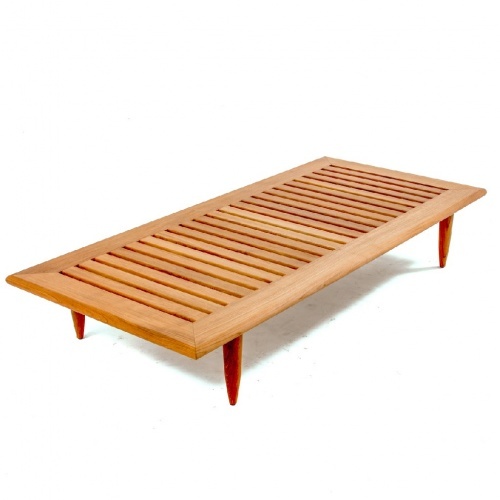 Defined by its superior craftsmanship and simple sophistication, its simple frame, made of un-laminated teakwood, is raised upon four elegantly turned solid teak legs, ensuring structural integrity of the furniture. 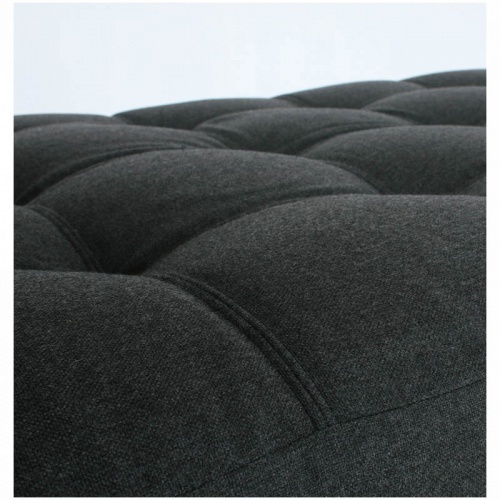 The seat cushion, constructed from three distinct layers of foam cores are individually hand tufted and double stitched. 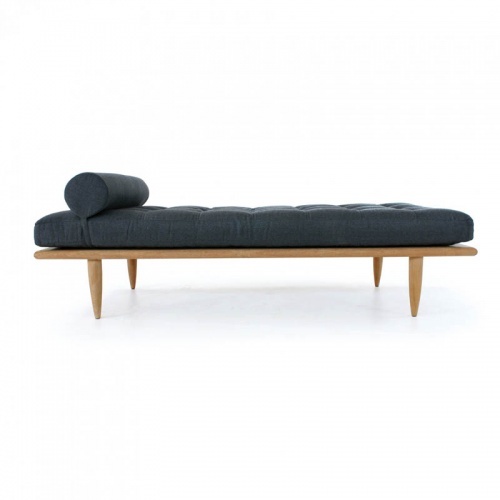 Surprisingly luxurious and soft to the touch, the stock fabric cover is specified for interior use, as well as outdoors. 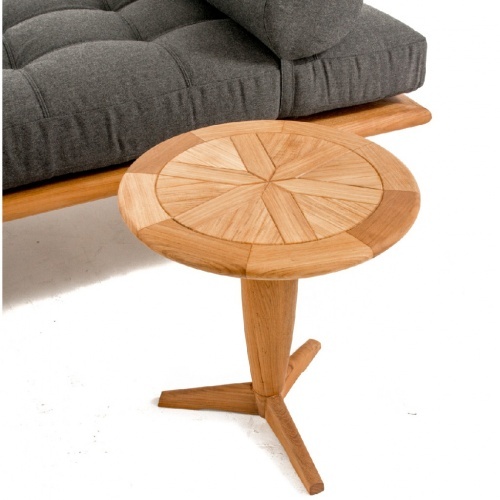 The Saloma Teak daybed is complemented by a side table. 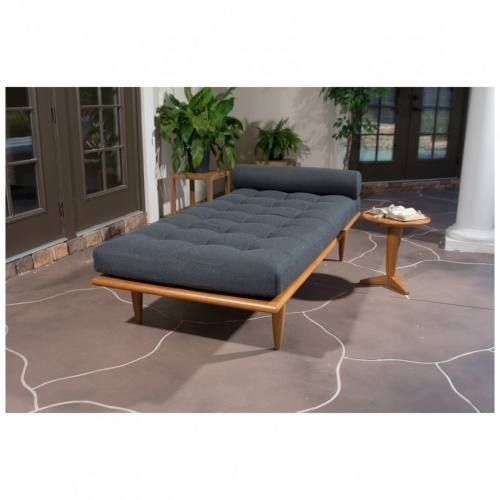 With its understated elegance and timeless form, the Saloma daybed Set is destined to become an heirloom piece. The time is now 03:01 AM EST!